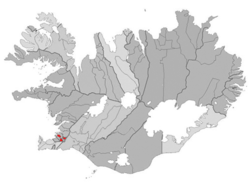 Ta Kópavogur ny nah valley smoo 'syn Eeslynn lesh 30,000 cummaltee ayn. T'eh ny lhie jeeragh jiass veih Reykjavík as t'eh ny chooid jeh Eaghtyr Reykjavík Mooar. T'eh jeant seose jeh buill chummaltagh son y chooid smoo, agh ta ram bioyrid traghtee as çhynskylyn ayn myrgeddin. Hie yn duillag shoh er ny reaghey er 4 Jerrey Souree 2013, ec 11:49.